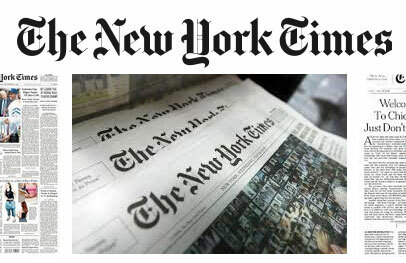 Read all about it, we have exciting news, the University of Puget Sound, coordinated by Collins Library, now has a site license to the New York Times web site. This is a pilot project for this calendar year, and we hope many of you will take advantage of this opportunity. Here’s how it works. Once you’ve registered for an account, which you do from within the campus network (i.e. on-campus), you may “log in” to that account from anywhere, anytime. Click “Create Account” and complete the registration fields (it is recommended that you use your @pugetsound.edu email address). If you have previously registered your email address on The NYT site, click the “Already have an account? Log in here” link just below the “Create Account” button. Once registered, go to: http://nytimes.com and “log in” in order to have unlimited access to the NYT content. If you already have a paid subscription to the digital New York Times, you may choose to cancel that subscription, and then take advantage of our institutional access. To do that contact NYT Customer Care at: customercare@nytimes.com or 800-591-9233. As soon as the cancellation is processed, you can “link” your existing ID to the Puget Site License by following the steps outlined above.